There is always a story for every photo. How it happened, what happened before or after, and what you can not see in the photo. Here you can read some of these stories, and there are always new ones. The smoother the road, the more comfortable it is to travel. 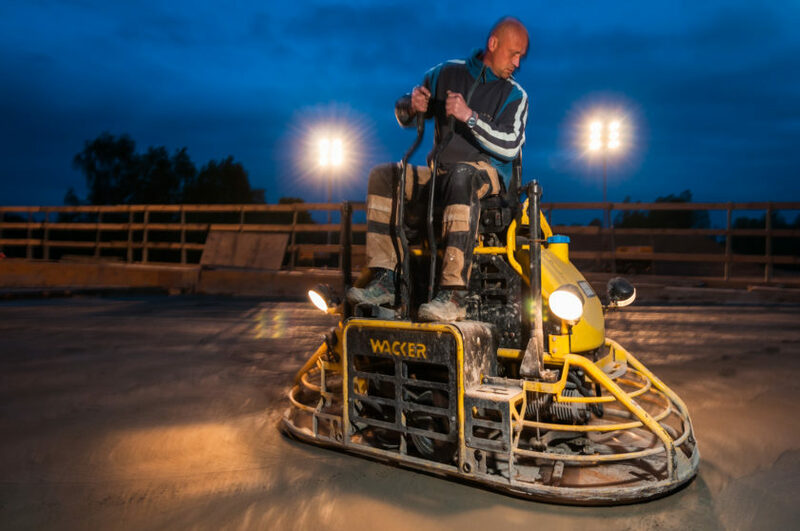 The ride-on trowel eliminates any bumps with rotating discs. This often happens in the night shift, so that the concrete can harden until the next morning. 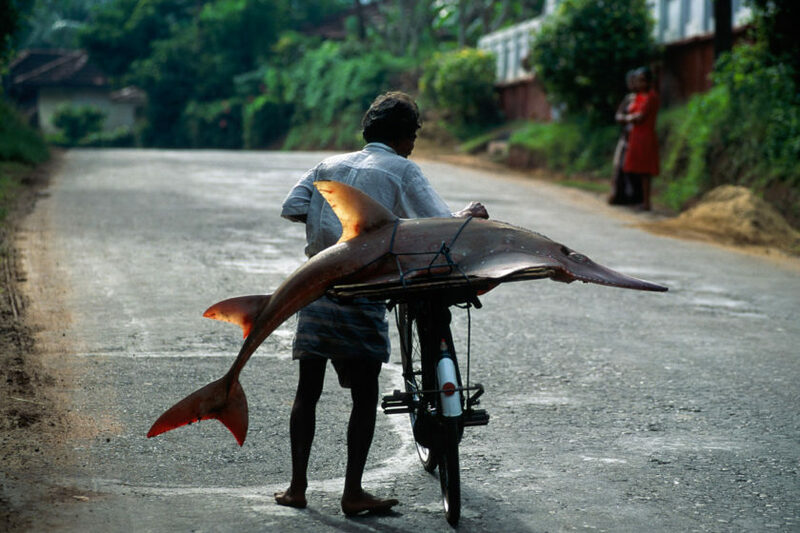 This fisherman made a great catch in Sri Lanka and transports him home with his bicycle. It is a Geigenrochen or Hairochen, the English name “guitarfish” sounds much nicer. The meat should taste very good, but I was not allowed to try it. is a very special one. This discovered some painters over a hundred years ago and decided to live and work there from then on. 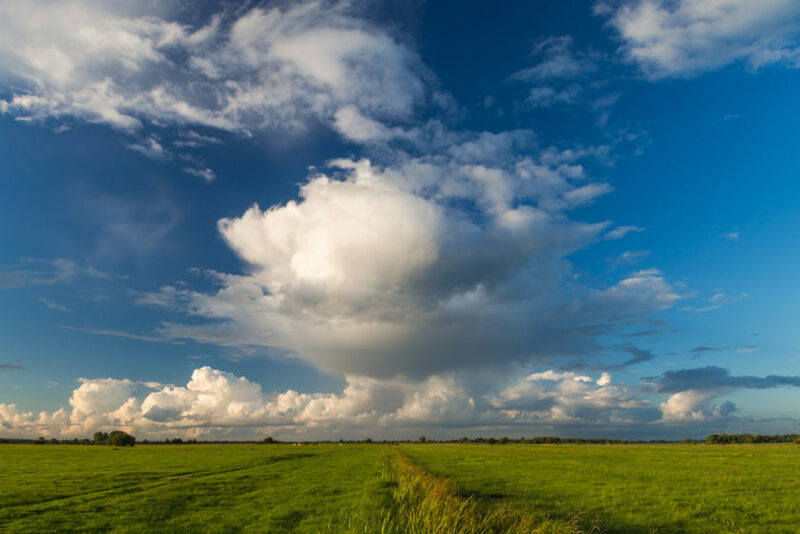 The Weyerberg abuts there in the midst of moorland and meadows and always ensures a dramatic cloudscape. This photo was selected as the title for the Weingarten-Kalender 2017. The theme is “Magic Worpsweder Landscapes”. A few years ago I had my studio directly at the harbor basin. In the evening I took a walk along the winter promenade with my neighbor, a painter. 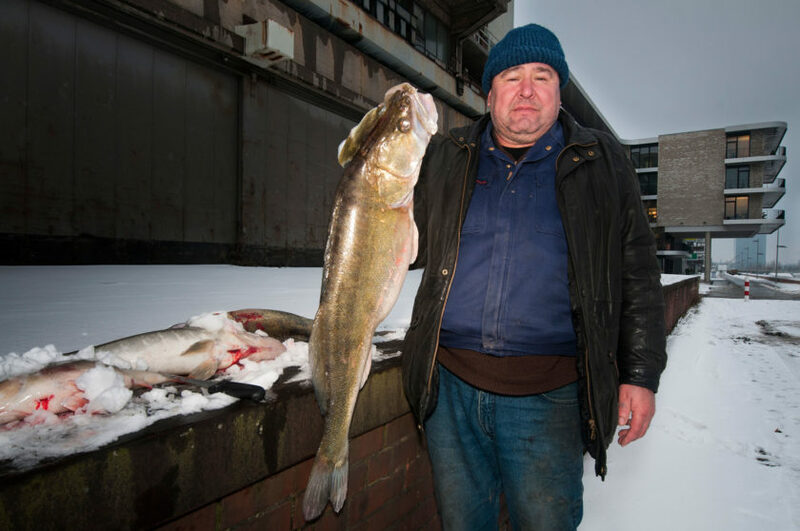 Just as we passed, an angler pulled a huge pike-perch out of the water, already the third of the evening. I used to like to go fishing myself and so I congratulated him on his successful catch. He was a Russian resettler and spoke no German. But my neighbor conversed with him with his hands and feet; until I could get my camera and scan it with his prey. The renovation of a 10km long motorway bridge, like here in Duisburg, is always a big challenge. Many different steps are necessary to master this task. In addition to the use of huge special machines, manual work is always needed. Here workers drill holes for special nails, which should ensure a good adhesion of the road surface. 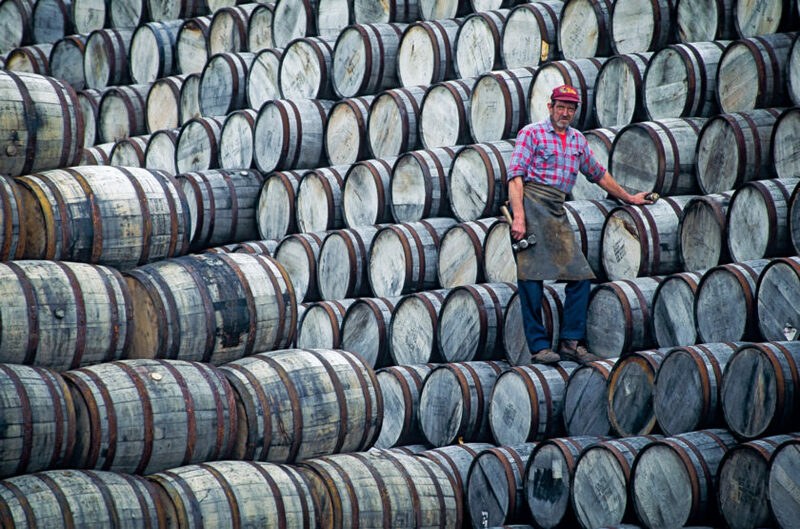 The production of whiskey in Scotland has a long tradition. A special role is played by the wooden barrels. Countless of them are needed for the decades of storage. Every cooper has his own sources for it. Especially sought after are Spanish oak barrels in which previously matured wine. Only the cooper has an overview of his treasures and knows exactly in which barrels he will mature the young whiskey.